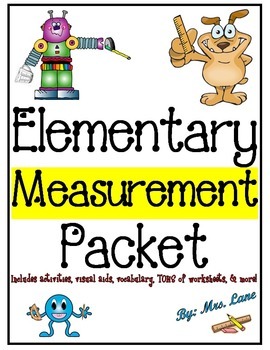 This packet contains TONS of fabulous items to teach measurement to elementary students, from activities and games, lesson plans and science experiments, to printable worksheets, handouts, and posters. These wonderful resources will improve your teaching skills by helping you understand how the topic of measurement can be approached and be taught for your students' maximum absorption and retention. There are SOOO MANY things to do that you can pretty much just sort through them and pick-and-choose what you want to do based upon the individual needs of your specific class. *Don't let the price scare you! This packet is 689 PAGES and includes MANY ready-to-use items that are also sold individually in my store. Save money and buy the whole packet here! 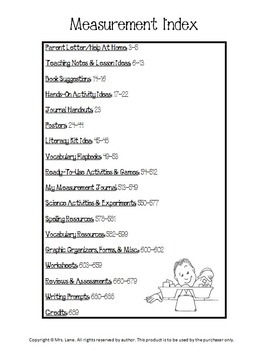 -Graphic Organizers, Forms, and Misc. *NOTE: The focus of this packet is on units of measuring, capacity, and mass/weight. 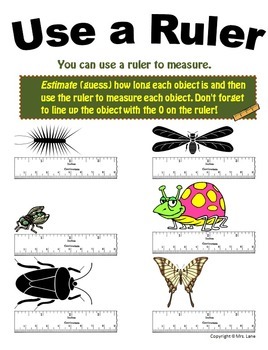 It incorporates both Metric AND US Customary units of measurement. 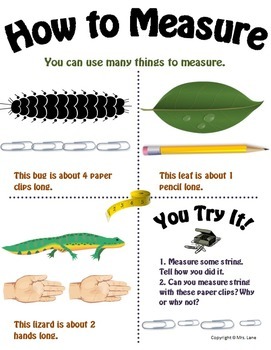 Although it does include a few items---it does NOT FOCUS on measuring time, temperature, perimeter, or area (these are included in separate packets). Please look for them in my store.